Son of the Dutch painter Gaspar Van Wittel, Luigi Vanvitelli was a leading light of Italian architecture in the eighteenth century. After initial experiments with painting, he dedicated himself to architecture, becoming the architect for the factory of San Pietro in 1726. In 1750, he was called to Naples by Charles of Bourbon and worked there intensively until his death. His most important work is the Royal Palace of Caserta, with its marvellous synthesis between baroque forms and neoclassical culture. In Caserta, Vanvitelli also designed an outstanding work of hydraulic engineering: the Carolino Aqueduct with the Ponti della Valle bridges, designed to transport water to the park and the entire area. In Naples, called upon to work on numerous projects by royals, nobles and religious figures, he restored various patrician palazzi and the city's Royal Palace (1753). 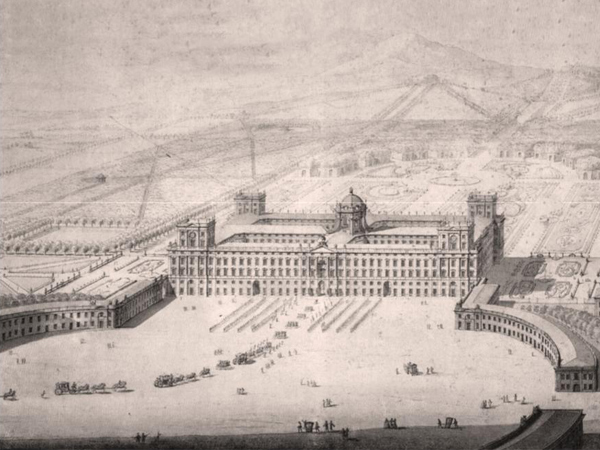 His more large-scale works include: the Riding School at Ponte della Maddalena (1757), the Church of the Fathers of the Mission (1760), the Carolino Forum (1760-65), the Church of Our Lady of the Assumption (1761) and the Villa Campolieto in Resina (1763).